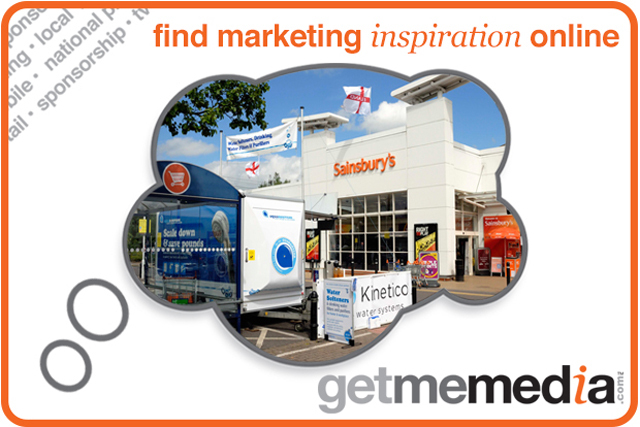 Access Point present an exciting opportunity to promote your clients product or service in over 400 Sainsbury's stores across the country. This is a cost effective and engaging opportunity that provides sales/lead generation and brand visibility ensuring an impressive ROI. Sainsbury’s stores can be specifically targeted for demographics, footfall and location, with a choice of car park or hard standing locations available in each approved store to ensure your clients can make the most of this promotion. This is the ideal opportunity to not only raise awareness and encourage trials, but also gain instant feedback and capture data from key audiences. Further, drive sales through distributing vouchers or purchasing incentives right in the proximity of point of sale. Access Point are offering a 15% discount for getmemedia.com subscribers. Find out more about this exclusive offer and the opportunity details.